Since 1979, Raceplace has been involved with the production or data processing of over 1100 events in Arizona and across the United States. Raceplace Event Systems, Inc. is an event production company specializing in the Timing and staging of athletic events. ChronoTrack Live race registration gives you the tools to easily launch a customized registration form that matches the event website as well as features to manage price phases, coupons, custom questions, donations and more. 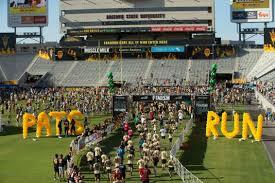 Each year, Raceplace is involved with the staging or timing of events within Arizona and throughout the United States.